A clean rat is a healthy rat. They not only groom themselves, but often their cage mates as well. However some rats are not as fastidious about grooming and will often need some assistance. Some more specific reasons to bathe your rat would be those that are too overweight, injured, ill or elderly to care for themselves properly; medical treatments such as parasitic relief; to clean up excessive build up of yellow/orange oils intact males ger as a result of a testosterone related sebaceous gland secretions; for showing; odor control; and general messiness (such as staining from fresh berries). 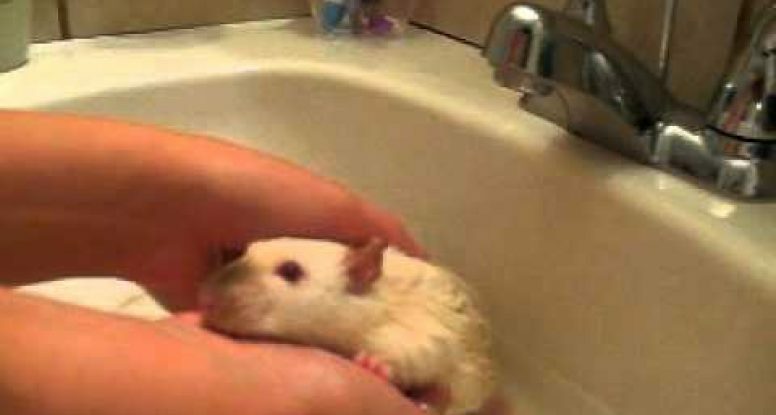 When I bathe my rats, I use this time to do a quick checkup. I check for scratches, lumps, bumps, and parasites. When the rats fur is wet, it makes these things easier to see. Red stains on your rat’s hair can be caused by bedding or saliva and will wash away. Rat saliva is reddish in color which can get on his coat while grooming himself. The red saliva is normal. I notice this is more obvious on my lighter colored rats. 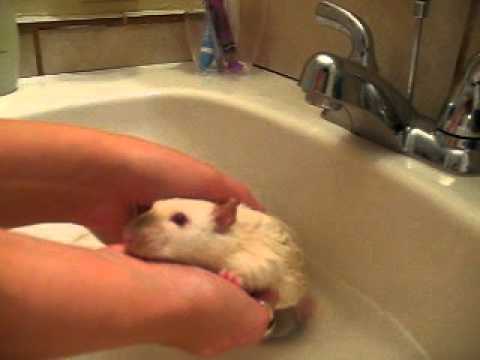 Here is a video I made that shows how I personally bathe my rats. Cicero, my Siamese, was due for a bath due to excessive red saliva stains and a pretty musky odor. He tends to think that the litterbox makes an acceptable place to lounge, LOL! Enjoy and feel free to ask any questions you might have!